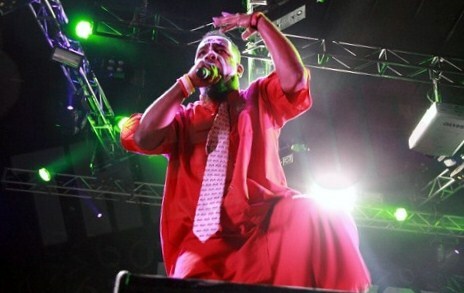 Tech N9ne’s “Hostile Takeover 2012” Tour is lining up to be the hottest tour this summer. With a record shattering 90 shows in 99 days, the tour is already the longest in rap history and with Tech N9ne leaving no city behind, the East Coast is about to get a taste of the live insanity. Tech hit Twitter recently to express his excitement at returning to New York City at the Highline Ballroom and later to New Jersey on the “Hostile Takeover 2012” Tour. The Kansas City King will be joined by Bad Boy Records’ Machine Gun Kelly and Strange Music’s Krizz Kaliko, ¡MAYDAY!, Stevie Stone, and Prozak. The massive line up will be hitting cities on the East Coast during June and with VIP packages now available, fans will get the experience of a lifetime. Don’t miss out on Tech N9ne’s “Hostile Takeover 2012” Tour! Will you be attending any of the East Coast dates?